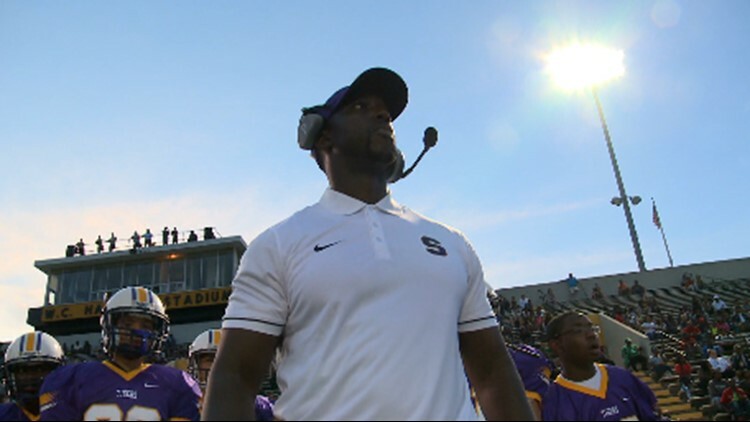 Greg Wright was fired last week as the head football coach at Swansea High School, but he is hoping to get his job back through the legal system. Greg Wright won three games at Eau Claire High School in the 2015 season and that got him on the radar of Swansea High School who was looking for a head football coach and athletics director. Wright made the move and in two years with the Tigers, he was 7-15, 3-8 in his first year and 4-7 in year two. But last week, Wright was fired as the head football coach just a few weeks before the start of preseason practice. His lawyer, Lewis Cromer of Cromer, Babb, Porter & Hicks, LLC, has sent a letter to Lexington District 4 superintendent Dr. Linda Lavender and the school district’s attorney requesting they reconsider their decision to fire Wright. "I believe that termination of him as head football coach was not in any way justified by the evidence I have seen," Cromer said. "The charges were false, pretextual and are part of a personal agenda to have him removed as head football coach." Cromer said in the termination letter to Wright, the school district offered to let Wright keep his salary as a football coach for the upcoming year while offering him a job teaching physical education at one of the other District 4 schools. "That is in no way adequate for the damages done by the firing of a football coach," Cromer said. "The money is secondary. He is heartbroken. These kids that he has brought two years to the point where they are now have lost their coach and lost him in disgrace." Up until a month ago, Wright was also the athletics director at the school. While he didn't specifically address the charges that led to Wright's dismissal, Cromer did say his client has a strong case for pursuing defamation and potentially discrimination. The school district office is closed this week, but Cromer is hoping for a response to his letter asking for Wright to be reinstated.